Bob Dylan, the musician known for his protest and folk songs such as “Blowin’ in the Wind” and “The Times They Are a-Changin” won the Nobel Prize in Literature on Thursday. He became the first musician to win this award creating a debate about the artistic value of song lyrics in comparison to poems and novels. Hurricane Matthew has killed as many as 900 people and forced 60,000 people into temporary shelters in Haiti. Since August, people in South Carolina, Georgia, Maryland, Pennsylvania and Upstate New York have reported suspicious incidents concerning people dressed as clowns. The clown scare extended to major universities with clown sightings being shared on social media at Penn State University on Monday night. In order to help the refugees, learn German and interact with Germans, the German government and aid organizations have designed apps to help immigrants learn German and become friends with Germans. n the first of three presidential debates held at Hosfra University, both candidates personally attacked the other. Donald Trump said that Hillary Clinton does not have the temperament to be president and Clinton asked Trump to explain why he has not released his tax returns. The UN Children’s Agency has reported that airstrikes in Aleppo on Friday stopped repairs to a damaged pumping station that supplies water to rebel-held areas in the eastern part of the city. The suspect for the bombings in the Chelsea District in New York and Elizabeth, New Jersey this weekend, Ahmad Khan Rahami was put into custody on Monday when he was found sleeping in a doorway of a tavern in Linden, New Jersey. The Presidential election on Nov. 8 is fast approaching and in order to vote in this election it is imperative to register to vote. The deadline to register for this year’s election is Oct. 11. In Luxembourg Foreign Minister Jean Asselborn’s interview with German newspaper Die Welt, he asked for Hungary to be removed from the European Union due to the country’s “massive violation” of EU fundamental values. This week, Uber will launch the company’s first fleet of self-driving cars in Pittsburgh. Pittsburgh will become the first city to let passengers get a ride in an autonomous vehicle. On Tuesday, President Obama landed in Laos to forge a better relationship with the nation and heal past war wounds. Obama is the first sitting U.S. President to visit Laos after the United States committed a nine-year carpet-bombing campaign on Laos during the Vietnam War to prevent the North Vietnamese from receiving supplies. On Saturday, Donald Trump visited Great Faith Ministries in Detroit to gain support among black voters. Ben Carson, the former Republican Presidential candidate from Detroit accompanied Trump to the church. The White house will reach its goal of taking in 10,000 Syrian refugees into the U.S. a month ahead of schedule. Last year, President Obama announced that the U.S. would welcome 10,000 Syrian refugees to the U.S. at the end of the fiscal year. 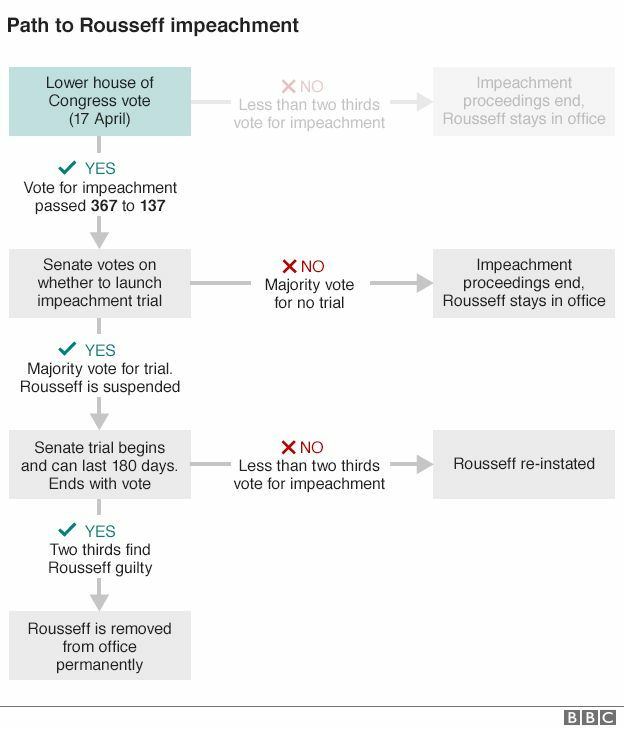 The parliament in Brazil has voted to begin impeachment proceedings against President Dilma Rousseff. She has been accused of manipulating government accounts to help her secure her re-election in 2014. On Thursday, a 6.2 magnitude earthquake struck Kumamoto City, on the island of Kysuhu in Japan killing at least nine people and wounding more than 860 people. The indigenous community of the Attawapiskat First Nation in northern Ontario declared a state of emergency after 11 members of the community attempted suicide on Saturday. Eleven million documents were leaked from the Panamanian law firm Mossack Fonseca revealing how Fonseca helped clients avoid tax, dodge sanctions and launder money. The documents released include 12 current or former heads of state and at least 60 people linked to current or former world leaders.